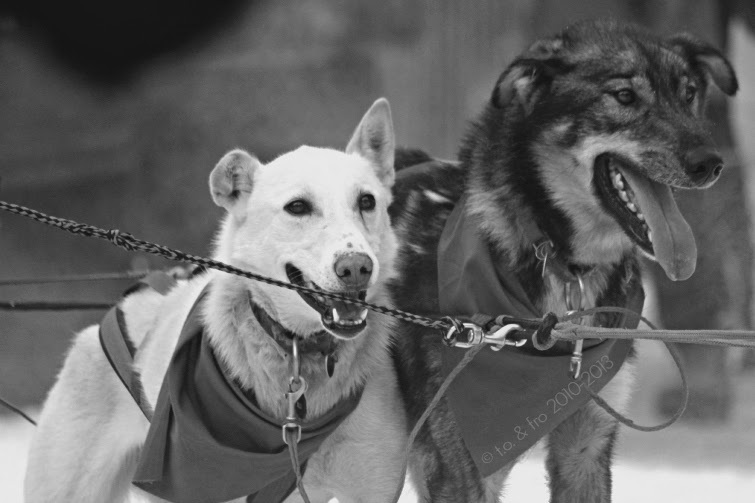 The Iditarod began in 1973 as an event to test the best sled dog mushers and teams. Since then, it has evolved into a highly competitive and popular race and is considered the "last great race on Earth". Experiencing this great race was something on our lists from the day we moved to Alaska, and now, being at the ceremonial start cheering on the racers with thousands of others was something we'll never forget. 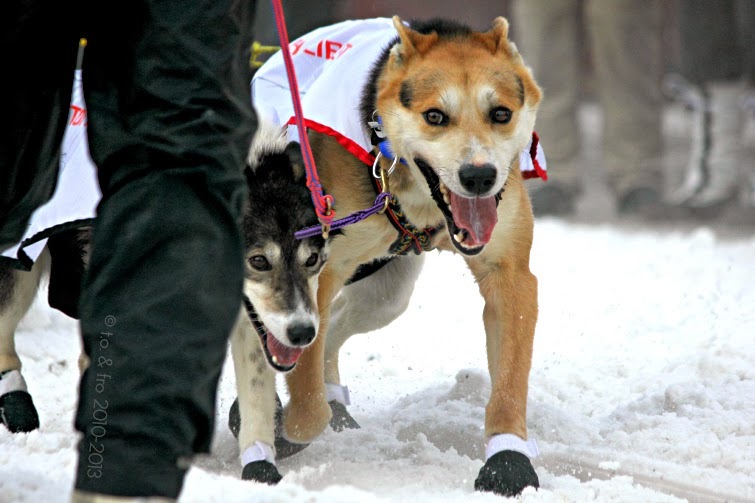 The race begins in Anchorage, each year on the first Saturday in March and ends when the last musher reaches Nome, around 9 to 12 days later. The trail is composed of two routes: a northern route, which is run on even-numbered years, and a southern route, which is run on odd-numbered years. 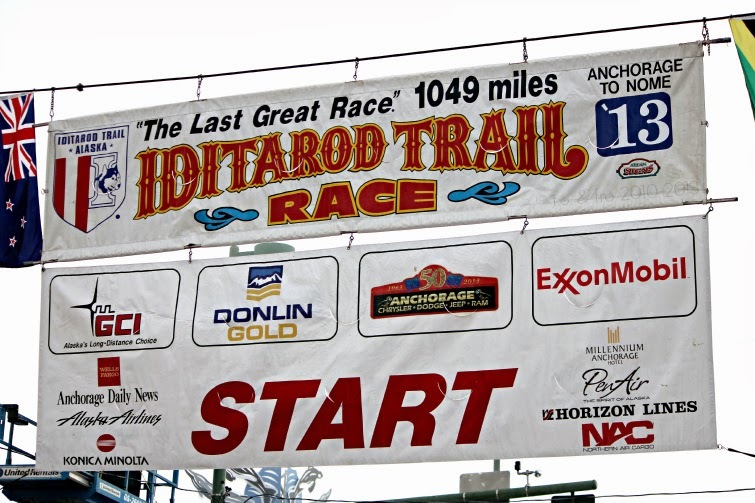 The total distance of the race is officially set at 1,049 miles, which honours Alaska's status as the 49th U.S. state. 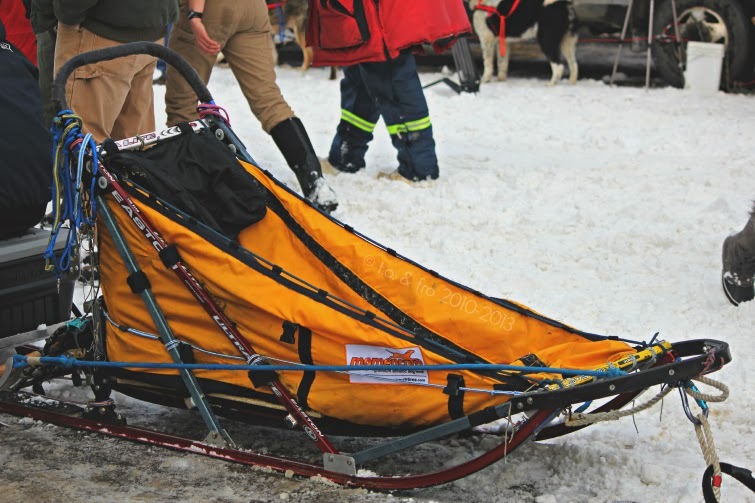 Teams frequently race through blizzards causing whiteout conditions, sub-zero temperatures and gale-force winds which can cause the wind chill to reach −100 °F(−73 °C). The tough terrain and conditions the racers face along the way definitely gives you a deeper appreciation of this sport and the great state. Oh my gosh, that is so cool! That would be so fun to see in person! What an awesome thing to have experienced! Those racers (furry and human) are incredible! One year the route went across Big Lake right in front of our house on the lake. It was neat to see all the hype, camera crews, etc.